Please note: We are currently accepting applications only for our available dogs. Our intake is closed for a much-needed break. If you apply for a dog that is not currently available, or you do not specify which dog you are applying for, your application may not be processed. 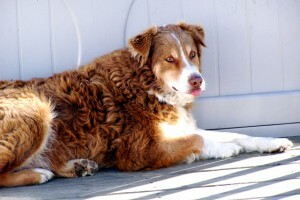 Welcome to the adoption procedures page for Carolina Hearts Aussie Rescue (CHAR). The following adoption guidelines allow us to learn about your family and lifestyle and make a successful match with one of our available Aussies. If you are still researching rescue organizations, we want you to be sure that CHAR is the right rescue for you – please review our policies thoroughly before deciding to apply: here is a good place to start. We REQUIRE you to read this section, and its links, in their entirety prior to submitting an application. It covers a variety of topics including basic considerations for screening potential adopters, steps in the process and our adoption fees. Unless noted, or discussed prior, we will make no exceptions to these guidelines. Wait! Have you reviewed our adoption territory yet? If not, please make sure that you are within our coverage area. We will not refund application fees to applicants who apply out of this territory. It is the applicant’s job to read our procedures thoroughly before submitting an application. Okay, here we go. First, you should carefully review the basics of adopting from CHAR. These guidelines and criteria are, for the most part, standard policies followed by many rescues to ensure the safety and well being of the dogs they place. Next, choose the option below that best suits your adoption preference. If you are not sure, or have no preference, then please review both thoroughly. I would like to adopt an adult dog! I would like to adopt a puppy! Finally, we have a list of frequently asked questions that we keep updated regularly. You should probably give it a look if you have any questions! After you’ve read the adoption procedures and process, you’re ready to apply! You can fill out our preliminary online application here. Please note: We are currently accepting applications only for our available dogs. Our intake is closed for a much-needed break. If you apply for a dog that is not currently available, or you do not specify which dog you are applying for, your application may not be processed.